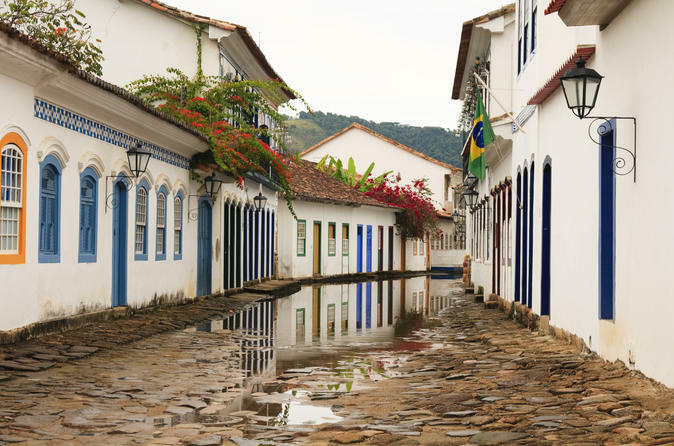 Follow an experienced guide for a 2-hour city sightseeing tour of Paraty—a Portuguese colonial town along the Gold Trail (Caminho do Ouro). You’ll walk cobbled streets in the historic center, open only to bicycles and pedestrian traffic. View churches, museums and colonial homes in the charming town, situated on the Bay of Ilha Grande along Brazil’s Costa Verde (Green Coast). Numbers are limited to 25 people, ensuring personal attention on this small-group tour. 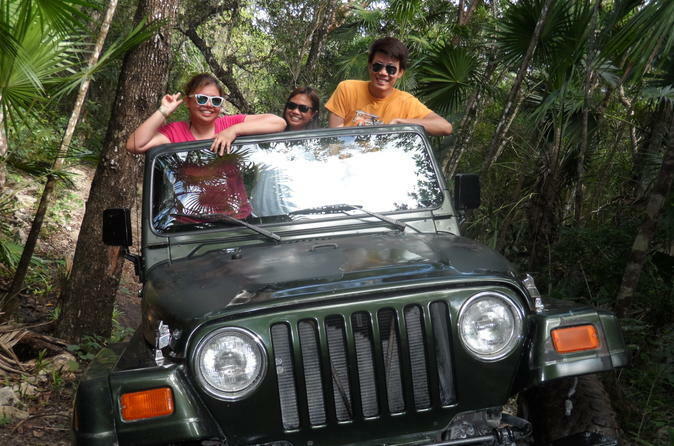 Ride down rugged roads by Jeep as you seek out the cascading waterfalls of Bocaino Mountains National Park (Serra da Bocaina) on this 6-hour tour from Paraty. You’ll stop along the Gold Trail (Caminho do Ouro) en route to a cachaça distillery, where you’ll enjoy tasting several varieties of Brazil’s famous liquor. Along the way, make a splash through Toboga Falls and Tarzan Falls! Round-trip hotel transport from Paraty is included. 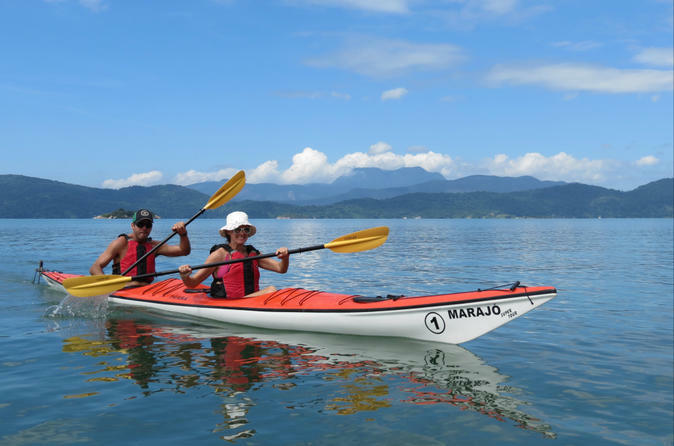 Kayak the warm, sheltered waters of the bay of Paraty on this guided kayak trip to islands and beaches. 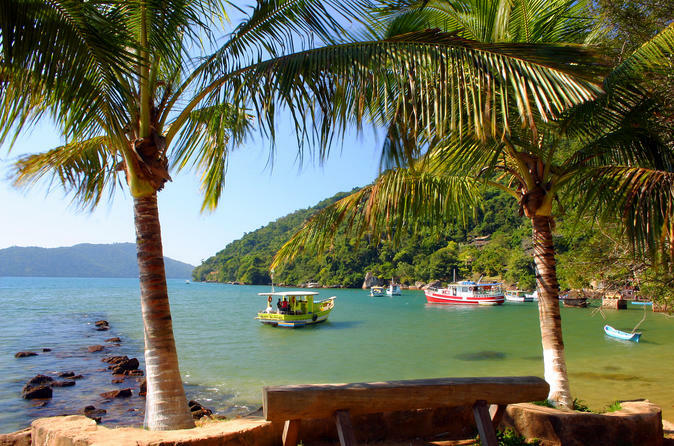 Spend a leisurely day at sea wending your way through the flawless reefs of Paraty! 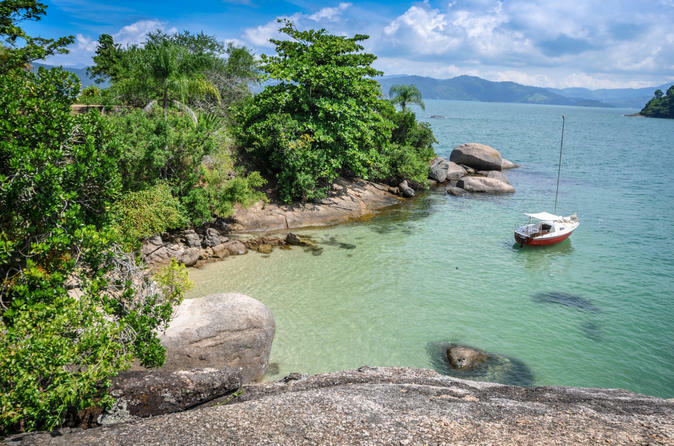 This schooner cruise in Paraty Bay takes different routes each day of the week, stopping in four prime locations for a spectacular snorkel tour with your guide. 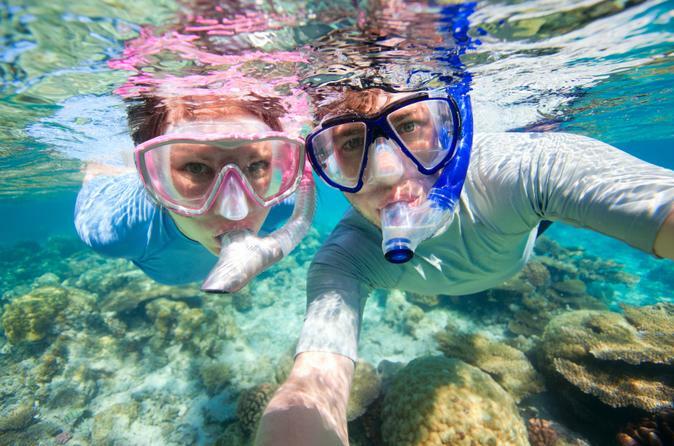 Observe schools of tropical fish at Ilha Comprida, coined ‘nature’s aquarium’ by the locals. Hike to the tropical paradise of Praia Do Sono, also known as Sono Beach. Your guided 1-hour trek takes you from Laranjeiras Village through preserved jungle with an experienced guide. Spot wildlife on the river trail en route to the beach, where you’ll enjoy several hours of free time on its powdery sand before trekking back. Translated as Sleepy Beach, this secluded shoreline lives up to its name! 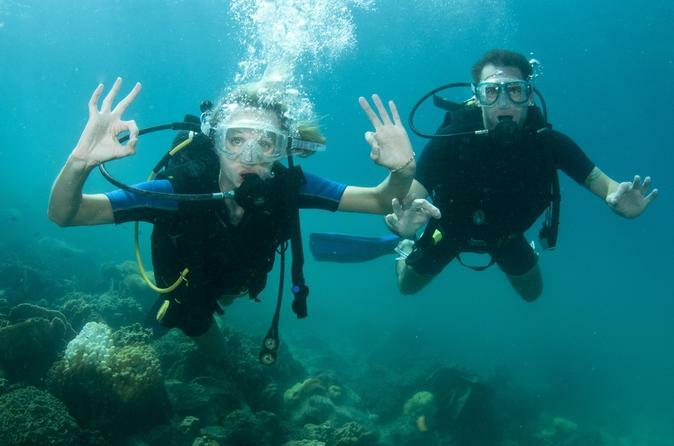 If you’ve always wanted to scuba dive, but you don’t have the required certification, take this beginner’s course in Paraty! A PADI-certified dive master introduces you to the underwater world in shallow, calm and clear waters. During your 4-hour lesson, learn theory and practice basic techniques, then marvel at the marine life surrounding you. Hotel pickup and drop-off, plus professional PDIC instruction and all equipment are included! 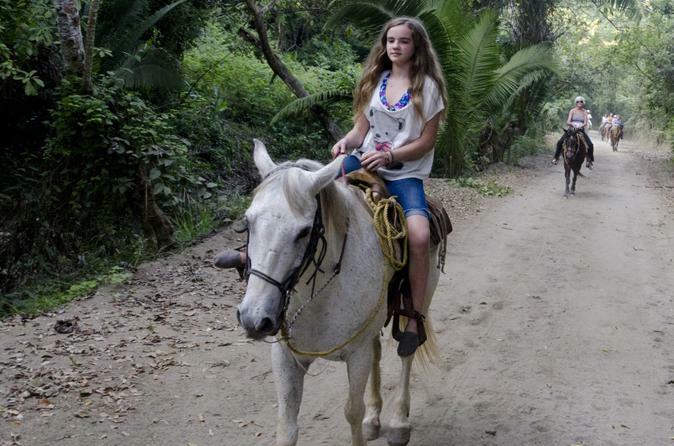 Experience the natural beauty of Paraty on a 3-hour horseback-riding tour. Following an experienced guide, lead a gentle horse down a rainforest route that will take you past waterfalls, local farms, native Brazilian plantlife and, if you’re lucky, some wildlife! It’s a great way to soak up the best of Paraty Bay’s natural environment. This small-group tour operates with a max of 10 people, ensuring a more personalized experience.